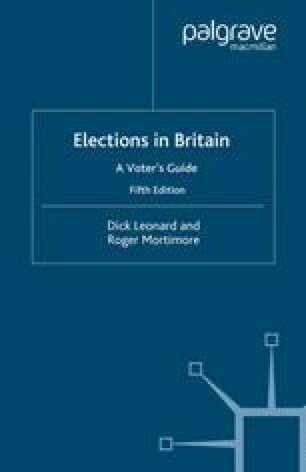 A comprehensive survey of the candidates in each recent election, and of how they came to be selected, can be found in Byron Criddle’s chapter of the Butler and Kavanagh Nuffi eld studies. The recent overhaul in selection procedures awaits an updated and comprehensive treatment. Three earlier books which cover the process as it used to be arePathways to Parliament by Austin Ranney (Madison: University of Wisconsin Press, and London: Macmillan, 1965); The Selectorate by Peter Paterson (London: MacGibbon and Kee, 1967) and The Selection of Parliamentary Candidates by Michael Rush (London: Nelson, 1969). On Members of Parliament see The Commons in Perspective by Philip Norton (Oxford: Martin Robertson, 1981) and The Backbenchers by P. G. Richards (London: Faber, 1972).